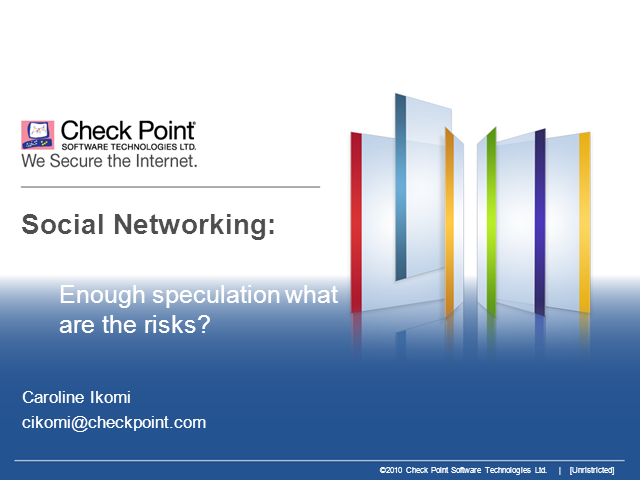 SC Summit: Social Networking – What Are The Risks? So how are sites like Facebook and Twitter most likely to compromise your organisation? This session will reveal what you really need to be worried about from online data leakage through to ushering-in viruses to enable you to get a handle on the real scale of the threat. Title: SC Summit: Social Networking – What Are The Risks?